The idea that red meat is unhealthy has been drilled into the American public for at least half a century. For those of us who have high standards for causal inference throughout the causal chain all the way from eating meat to death or morbidity, there is surprisingly little evidence for this view, though I will talk about some. How well the Inuit and Masai fared on a traditional diet of meat should give one pause in asserting too strongly the harms of red meat. Let me give two bits of evidence, one positive for meat, suggesting it is very nutritious for the human body; another negative, suggesting it is highly nutritious for cancer cells as well. The notion of a carbohydrate-restricted diet based exclusively on fatty meat was publicized after World War I by the Harvard anthropologist-turned-Arctic-explorer Vilhjalmur Stefansson, who was concerned with the overall healthfulness of the diet, rather than its potential for weight loss. Stefansson had spent a decade eating nothing but meat among the Inuit of northern Canada and Alaska. The Inuit, he insisted, as well as the visiting explorers and traders who lived on this diet, were among the healthiest if not the most vigorous populations imaginable. ... If the Inuit thrived in the harshest of environments without eating carbohydrates and whatever nutrients exist in fruits and vegetables, they, by definition, were consuming a balanced, healthy diet. If they did so solely because they had become evolutionarily adapted to such a diet, which was a typical rejoinder to Stefansson’s argument, then how can one explain those traders and explorers, like Stefansson himself and the members of his expeditions, who also lived happily and healthfully for years at a time on this diet? Nutritionists of the era assumed that all-meat diets were unhealthy because (1) excessive meat consumption was alleged to raise blood pressure and cause gout; (2) the monotony of eating only meat—or any other single food—was said to induce a physical sense of revulsion; (3) the absence of fresh fruit and vegetables in these diets would cause scurvy and other deficiency diseases, and (4) protein-rich diets were thought to induce chronic kidney damage, a belief based largely on early research by Louis Newburgh. Eugene Du Bois and ten of his colleagues from Cornell and the Russell Sage Institute of Pathology would oversee the day-to-day details of the experiment. Du Bois, who supervised the experiments, wrote an introduction to Stefansson’s book. After Stefansson and Anderson were living exclusively on meat, he said, “a great many dire predictions and brilliant theories faded into nothingness.” A diet that should have left Stefansson and Anderson deathly ill from scurvy had left them as healthy as or healthier than the balanced diet they had been eating in the years immediately preceding the study. “Quite evidently we must revise some of our text book statements,” Du Bois concluded. the need for vitamin C is much lower when eating meat than when eating a lot of carbs. There are arguments over whether our distant ancestors, in the environment of evolutionary adaptation ate mostly plants or mostly meat. I suspect that the recurrent ice ages back then made things tough enough that for us to be here today, our distant ancestors had to do OK on a wide variety of different diets. Sometimes, very little meat would have been available. At other times, meat might have been almost all that was available. I don't think it strange that we should be adapted to do well as almost total carnivores, even though we also have the capability to deal well with plant food in its natural form. Now, to rain on the parade of pro-meat ideas above, let me turn to some interesting evidence suggesting that meat is very nutritious for cancer cells as well. 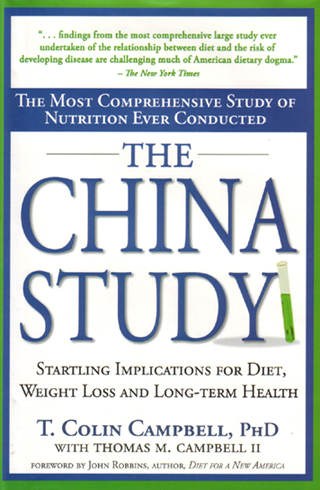 The evidence comes from research by T. Colin Campbell and coauthors, recounted in his book, "The China Study: Revised and Expanded Edition: The Most Comprehensive Study of Nutrition Ever Conducted and the Startling Implications for Diet, Weight Loss, and Long-Term Health." Link to the Wikipedia page for "The China Study"
Colin Campbell's team predisposed mice and rats to cancer by a range of methods, such as dosing them with aflatoxin and breeding them with genes making them prone to cancer. When these mice and rats predisposed to cancer were fed low-casein diets they usually didn't develop cancer. When they were fed high-casein diets, they usually did develop cancer. Casein is a protein found in abundance in milk and cheese. Like other proteins from animal sources, it is a "complete protein" with the full range of amino acids needed to build mouse, rat or human cells. My hypothesis for what was going on in the experiments is that if there is a superabundance of complete protein available, it makes it easy for cancer cells to grab some of that protein or the complete set of amino acids from that protein to build strong cancer cells. In other words, my hypothesis for the results Colin Campbell's team got is that a diet low in complete protein is like a very safe form of chemotherapy: having low levels of complete protein is harder on cancer cells than it is on normal cells that don't need the materials for growth as much. A straightforward way to have low levels of complete sets of amino acids, and thereby inhibit the development of any incipient cancers one might have, is to eat relatively little animal protein and to not have too much in the way of complete combinations of proteins for plant proteins beyond that. If you have had a cancer already been detected, it is probably worth talking with one's doctor about cutting down complete protein even further. I wonder if eating plant proteins in a way that is complete over time, but incomplete on any one day, could hit the sweet spot of providing enough of all the essential amino acids for the normal cells to do their thing, while still making it hard for cancer cells to get all the key amino acids they need to grow quickly. I am not 100% sure a level of complete protein equal to zero is fully safe—and to the extent a vegan diet provides a full set of amino acids it might have the same downsides as an animal protein diet by providing great nutrition for cancer cells. Relative to total calorie intake, only 5–6% dietary protein is required to replace the protein regularly excreted by the body (as amino acids). About 9–10% protein, however, is the amount that has been recommended for the past fifty years to be assured that most people at least get their 5–6% “requirement.” This 9–10% recommendation is equivalent to the well-known RDA. I am thinking of a target of around 7% of calories in animal protein on a typical day, without trying to count up the amount of plant protein. Then the complete animal protein alone would be enough to replace the amino acids that are used up and depleted, with plant protein as extra. The footnote at the end of Colin's passage suggests that 2200 calories a day would be typical for someone weighing 70 kilograms. Since a kilogram is about 2.2 pounds, proportionally that is 2200 calories/(2.2 * 70 kilograms) per day= (100/7) (calories/pound) per day. 7% of that is 1 calorie per pound per day. A gram of protein has about 4 calories, so 1 calorie of animal protein per pound of body weight per day is about 1/4 of a gram of animal protein per pound of body weight per day. Although I think Colin Campbell and his coauthors provide some important data on a possible relationship between animal protein consumption and cancer, I don't think Colin reads the full range of evidence appropriately in coming to his overall viewpoint. In particular, given the evidence he has to worry about animal protein (by my hypothesis, because of its completeness), there is no evidence to speak of against animal fat. Any worrisome correlation that seems to make animal fat suspect could easily be due to negative effects of the animal protein that tends to go along with animal fat. And the US and other advanced countries have done a massive experiment of trying to improve health by subtracting fat—mostly animal fat—from food products. That subtraction of animal fat has done nothing to improve health, as large studies such as the Women's Health Study have indicated. Colin Campbell talks about interactions among the components of whole foods being the key, but only the nutritional interaction among the amino acids in animal proteins is necessary to explain things. Subtracting animal fat doesn't do any good because it is the animal protein that is the problem, not the animal fat! For more on dietary fat, see "Jason Fung: Dietary Fat is Innocent of the Charges Leveled Against It." Skim milk and lowfat yogurt look bad, and whitefish is a little high, but it doesn't look like most animal foods cause big insulin spikes. In other words, meat, dairy and eggs, by providing an abundance of complete proteins may help build strong cancer cells, but there is no good evidence that they make people fat. And if meat, dairy and eggs don't make you fat, the variance of cancer they would be available to help explain would be the (still substantial) variance of cancer that is not explained by variance in obesity. Statistically, I would be especially interested in multiple regressions of cancer on obesity and animal protein consumption (with measurement error correction for obesity to make sure that one wasn't undercontrolling for obesity). As I mentioned above, personally, I am convinced enough by the evidence to marginally cut back on my animal protein consumption. If I were diagnosed with cancer, I would cut back further. There are some extra issues with dairy proteins that Colin Campbell points to that worry me some—grist for a future post. There is no evidence whatsoever to convince me to reduce my animal fat or plant fat consumption. Despite disagreements, it is important to point to areas of agreement. 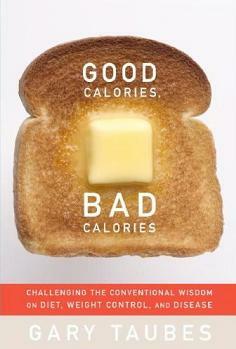 Colin Campbell, Gary Taubes and Jason Fung all argue quite strongly that sugar and refined carbs are very bad. You should cut them out of your diet. More research is needed to definitely answer the key questions. Unfortunately, much of the research effort in the last few decades has been barking up the wrong tree, thinking that fat in general, or animal fat in particular, was a key dietary villain. In my view, research should focus on (a) "How much can be explained by insulin levels?" and (b) "Controlling for insulin levels, what are the effects of animal protein (or complete sets of amino acids)?" If there are some baleful effects, then I would want to know "Is there some level of animal protein consumption that is safe?" I also want to know whether infrequent (say once a week or once every other week) high levels of animal protein from going out to a restaurant are dangerous or not. The part of this question that relates to my hypothesis is the question of if cancer growth depends on a regular superabundance of complete protein or (as I hope is not so) if cancer growth can proceed vigorously even with only an occasional superabundance of complete protein. In "Obesity Is Always and Everywhere an Insulin Phenomenon," I make the analogy that trying to lose weight without skipping meals is like trying to reduce inflation without a recession. Given the crucial importance of combining a low-refined-carb diet with fasting for weight loss and maintaining a lower weight, research should focus on (c) investigating the effects of fasting. The direct effect of fasting is to lower insulin levels. But "How often can fasting lower insulin resistance?" And "To what extent can relatively frequent 18-20 hour fasts or 42-44 hour fasts mitigate any baleful effects of animal proteins that might be discovered under research agenda (b)?"